"Trading Souls" is more of the same from melodic metal supergroup Empire, which is to say that it's a collection of adequate, but not stellar, rock'n'roll tunes that play like they were recorded nearly twenty years ago. I've got no problem with retro rock. In fact, if anything, I've got a soft spot for it. However, when you put together a band that contains the likes of Rolf Munkes, Neil Murray, Gerald Kloos, Andress Johansson, Don Airey and Tony Martin, you expect a little more than the slightly better than so-so of "Trading Souls." Speaking of Martin, by the way, his vocals are a highlight here. I don't think I've ever heard him sing as well, and that includes his days in Black Sabbath. Again, "Trading Souls" isn't without its pleasures. Track #8, "Did You Ever Love Me," is surprisingly full of intense emotion and some of the tracks bring to mind Deep Purple, post Ian Gillan / Richie Blackmore. Still, looking at the list of players involved, one can't help but hope for more. "Trading Souls" is entertaining but it could have ... and should have ... been so much more. Empire: Tony Martin - vocals; Rolf Munkes - guitars; Neil Murray - bass; Gerald Kloos - drums; Don Airey - keyboards; Anders Johansson - drums. 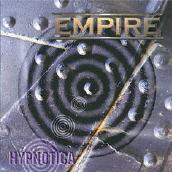 For more information, check out http://www.empire-rock.com. Empire is a melodic metal supergroup who sometimes sound an awful lot like Bon Jovi and sometimes sound a lot like other melodic rock bands out there. Although the songs herein aren't half bad, none of them have any real charisma, style or punch. And that's surprising considering the talent involved. Again, "Hypnotica" isn't a bad record - subsequent spinnings find the CD growing on you. But it isn't a great record either and, as any fan of the performers hereon will tell you - they are certainly capable of great things. 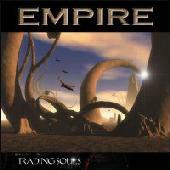 Empire: Lance King - vocals; Mark Beals - vocals; Rolf Munkes - guitars, bass; Neil Murray - bass; Gerald Kloos - drums; Andress Johansson - drums; Don Airey - keyboards. For more information, check out http://www.nightmare-records.com.